I have touched on this subject before in some of my posts, but the theme does bear repeating. One of the pleasures of my work and mission to help people in toxic situations is that most all of my clients in marriages with NPDs or BPDs are very good people, Often, they are empathic, and caring, and are always wonderful people and parents to their children. Yet, they have suffered with emotional abuse for years and sometimes physcial abuse from the NPD/BPD spouse. My work has allowed me to be of service and help to parents and kids caught in a relationship with a toxic personality. Contact my office if the themes here resonate with you and you are looking for a way to create an intervention, and a new life free from a history of abuse and suffering. An article today caught my attention, and it may be useful for readers caught in these relationships and needing a skillful plan in order to manage a divorce from a narcissist or someone with toxic and angry borderline traits. In my practice, I have had the pleasure of representing many, many good and caring people. 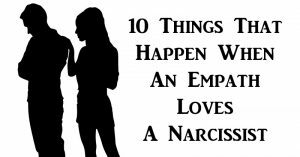 Many of these good people end up being entrapped into a relationship with a narcissist. This is part of the paradox: why do so many good and caring people end up in marriages with such selfish, and often abusive, partners? Psychology author Peg Streep writes compelling articles for journals like Psychology Today. She has some rare insights into the narcissist and how such good and smar tpeople get fooled and trapped into these toxic marriages. I need help. I have been married for 13 years. We have two wonderful sons. My husband had an affair that ended about 5 years ago. The affair hurt but…he also emotionally and physically did things to me during his affair and that hurt even more. After it ended, he did apologize to me. But, he almost never showed me love or attention. And he had lied about so many different things to me. I have been diagnosed with anxiety and depression. I am currently trying to get help for that. And I just started to take Lexapro for my anxiety and depression. Today is Mother’s Day, and aside from wishing all of our Moms a wonderful day, I wanted to point out as well that parental alienation exists with mothers as targets. More often than one might think. One of the priviledges that I have as a lawyer for some wonderful people going through a significant life change is the ability to interface with them about anxiety and depression. In some cases, the symptoms are being experienced by the children of divorce. In other cases my own clients are struggling with situational depression, or a resurrection of symmptoms while undergoing stressful events. One of the most important features of this discussion is that these symptoms are normal, and universal. As a society, we don’t discuss depression and anxiety well, or openly, but the time has arrived to have these discussions. It is good to see such prominent people taking public their own expereinces with mental health issues. Illinois Divorce and BPD: Can it be Overcome? Is it possible for someone with BPD to overcome it by themselves with awareness? It is hard to be objective about one’s own problems. Once again, I am happy to report that Illinois Divorce Lawyer Blog has received recognition as a Top 100 Divorce Blog. This blog is a labor of love, and designed to bring helpful information about Divorce, Custody, Finances, and Psychological Issues in Divorce.